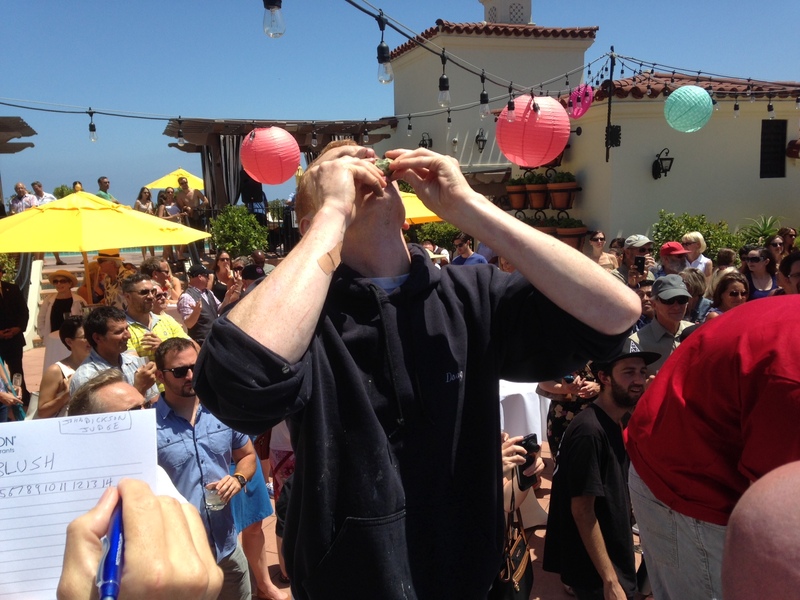 Shuck & Swallow Oyster Eating Competition on Canary Hotel Rooftop Sunday, June 29 with MC and Santa Barbara DJ Scott Topper Productions. 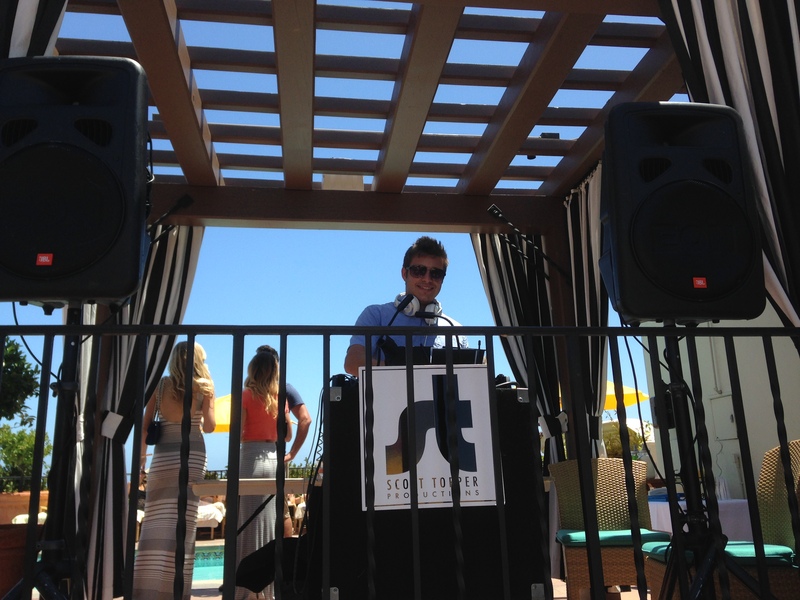 MC Scott Topper counts down the 10 minute world-class event. How many oysters can you eat in ten minutes? 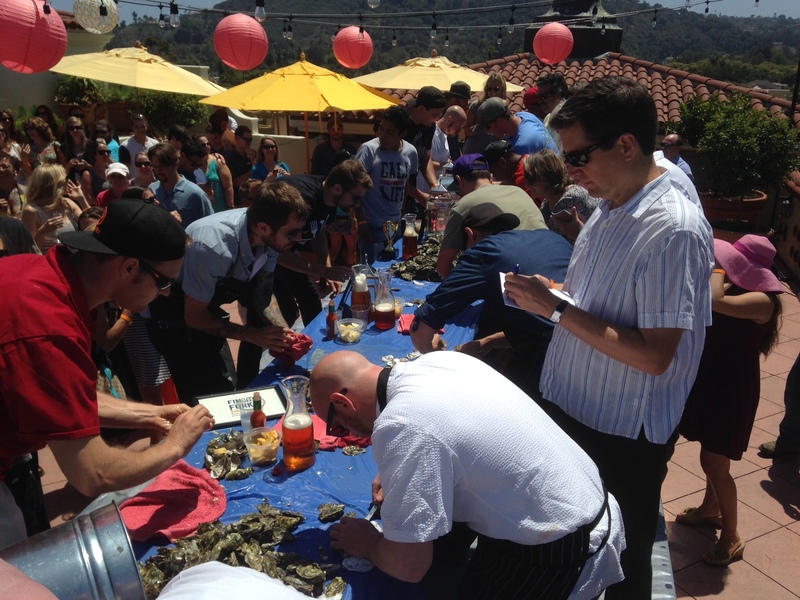 Shuck & Swallow Oyster Eating Competition on Canary Hotel Rooftop Sunday, June 29 with MC and Santa Barbara DJ Scott Topper Productions. 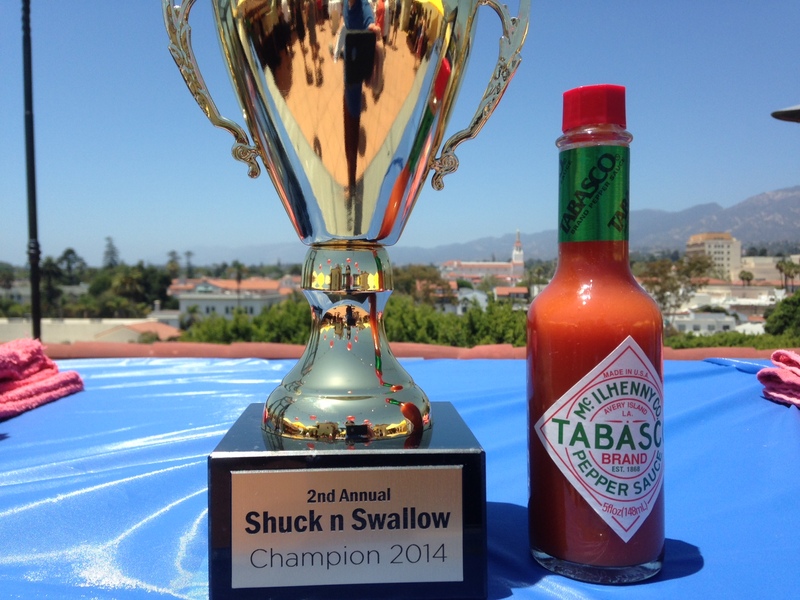 Santa Barbara DJ Scott Topper announces winners of the 2014 Shuck & Swallow Oyster Eating Competition. and the winner is…Blush Restaurant with 109 oysters eaten in 10 minutes! Last year the record was 83 oysters eaten by Doug of Blush in 10 minutes! Blush 109! Swallower- Doug Galbraita!!! 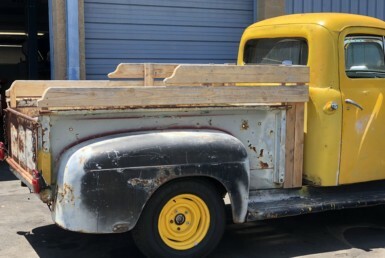 Swallowers receive hot sauce and lemons, pitcher of beer, or a pitcher of water. Thanks to Santa Nonica Seafood, Riverbench Winery, Brewhouse Beer, and Tito’s Vodka!